There’s one question that we get asked more than any other in the last few weeks since launching the new website: “What’s the difference between Grade A and Grade B?”. It is important to understand that ALL maple syrup is produced by exactly the same process. Maple Syrup is graded on a scale based on density (at least 66% sugar) and translucency from light (Grade A Fancy) to dark (Grade B). Our syrup sits right in the middle at Grade A Dark Amber. Flavor gets richer as syrup gets darker making medium or dark amber the most popular table syrup because of its beautiful color and rich well-balanced flavor. The color difference in grades has mostly to do with when the syrup is made. As the spring warms up, the sap coming from the trees becomes darker in color, producing a darker syrup. Corresponding to color, the darker the syrup is, the stronger its flavor. Pure Maple Syrup comes in many styles, and types. The United States distinguishes four primary maple syrup grades. From light to dark they are Grade A Light Amber (aka Fancy), Grade A Medium Amber, Grade A Dark Amber, and Grade B. All grades of pure maple syrup are nearly identical in density and maple sugar content (66.9%), the color of the syrup can and does range from pale golden to dark brown. The current grading system is being replaced by a newer, more detailed system. This is still in the process of being rolled out in the US and is dependant on each state’s regulatory system. This new system will consist of three grades with several color classes in each one. 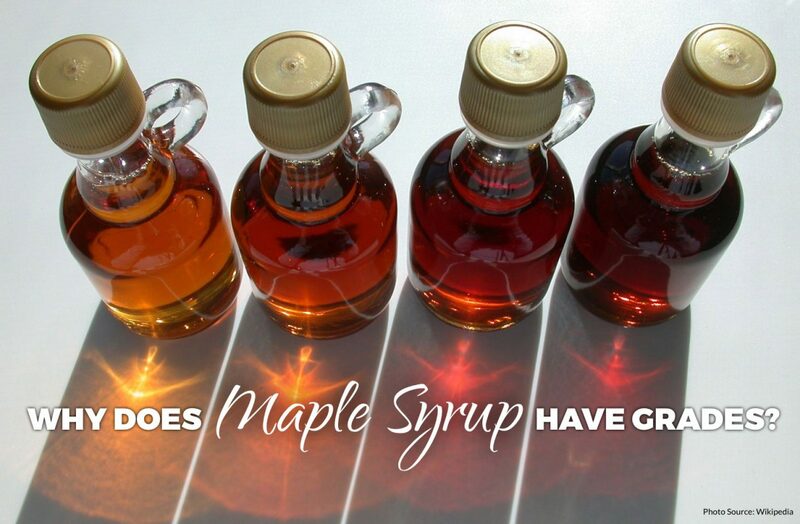 What’s your favorite Grade of Pure Maple Syrup? This entry was posted in 2018 Maple Season, Educational and tagged educational. Louis Plante is the co-owner of Bear Mountain Maple and has been making maple syrup his entire life. Currently residing in Nashua, NH. I ordered three quarts of syrup and it is yummy, thank you!!! What is your address? I can’t seem to find it on your website. Hello, we’re at 3 McDonald Drive in Hinsdale. We don’t have an actual store, but if you see steam rising from the sugar shack, you can stop by to buy some syrup or check out the process.